It’s Queen Titania and King Oberon’s 1000th jubilee, and the seven Party Fairies are in charge of making the celebrations extra-special! But naughty Jack Frost has decided to sabotage the celebrations by stealing the Party Fairies’ magic party bags. 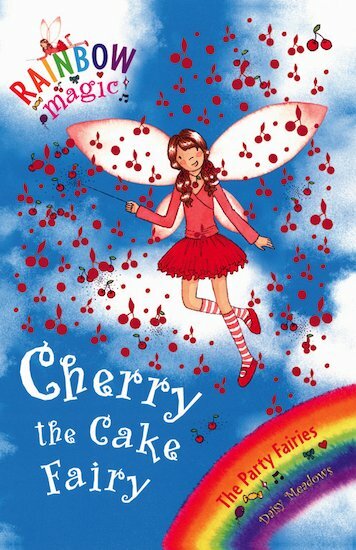 Can Kirsty and Rachel help Cherry the Cake Fairy to rescue her party bag, so the magnificent jubilee cake can be finished in time…? Cherry makes Sure the cake looks extra special and taste extra good. i reaaly like cakes and the book is also very good! This book sounds delicous. Really Good! I WANT TO READ THIS BADLY!!! !